I have a huge passion for nail art and rarely leave my nails without nail art on it. Every time I apply nail paint to review, I make sure to do a nail art. I still don’t have steady hands when I do nail art using a nail art brush. I really need to work on it. Today I am going to share with you dotted border nail art tutorial which I saw on YouTube few months back. 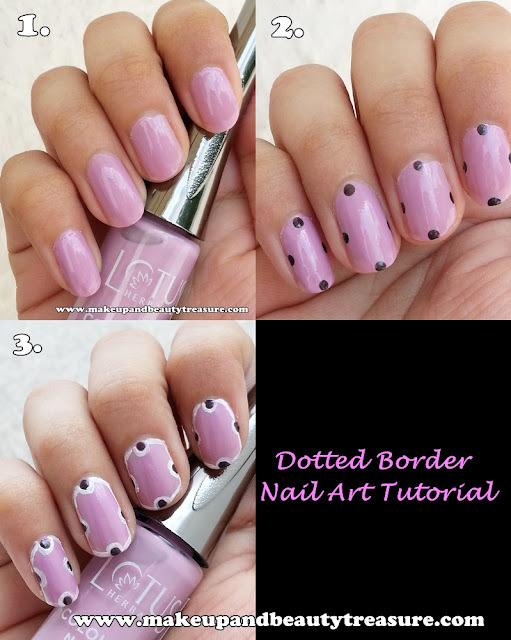 • Put four black dots on nails using a big dotting tool. • Using a thin nail art brush, draw lines on the border of the nails. Let it dry completely. 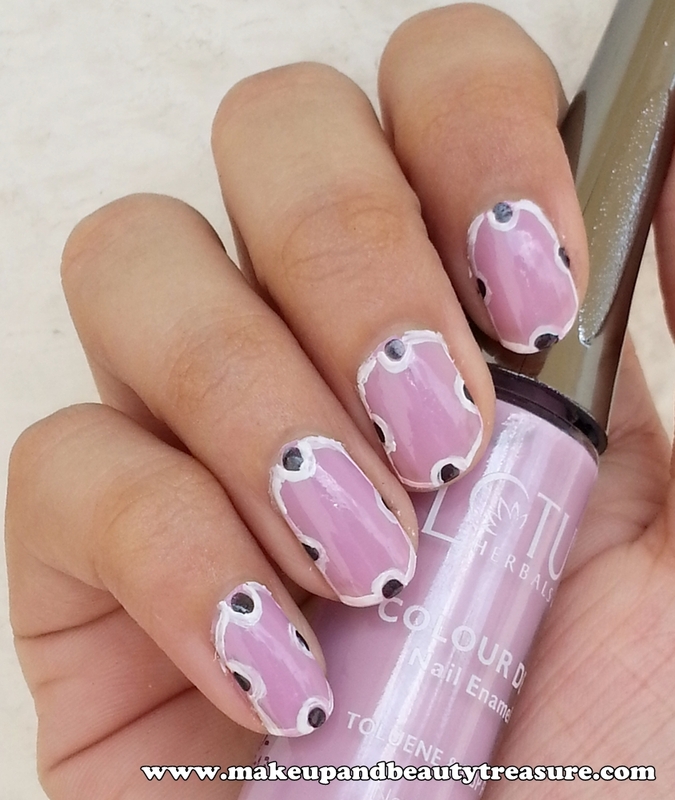 • Apply a top coat and voila our nail art is ready. 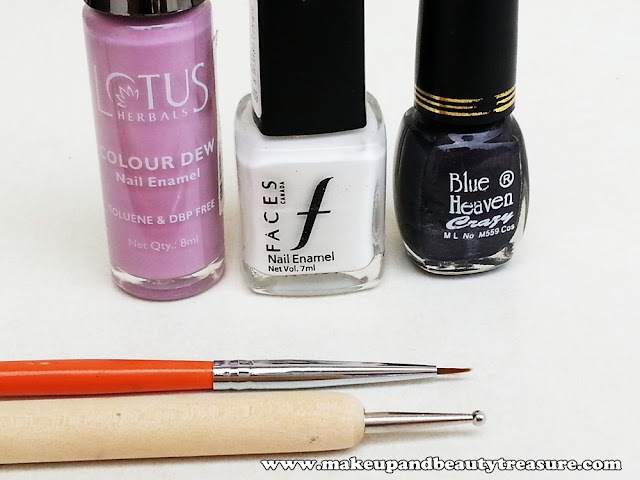 • Lotus Colour Dew Nail Enamel in 'Lavender Love'. Read review here. • Blue Heaven Crazy Nail Paint in '72'. The nail art looks really classy and elegant on my nails. It is perfect for office going girls. 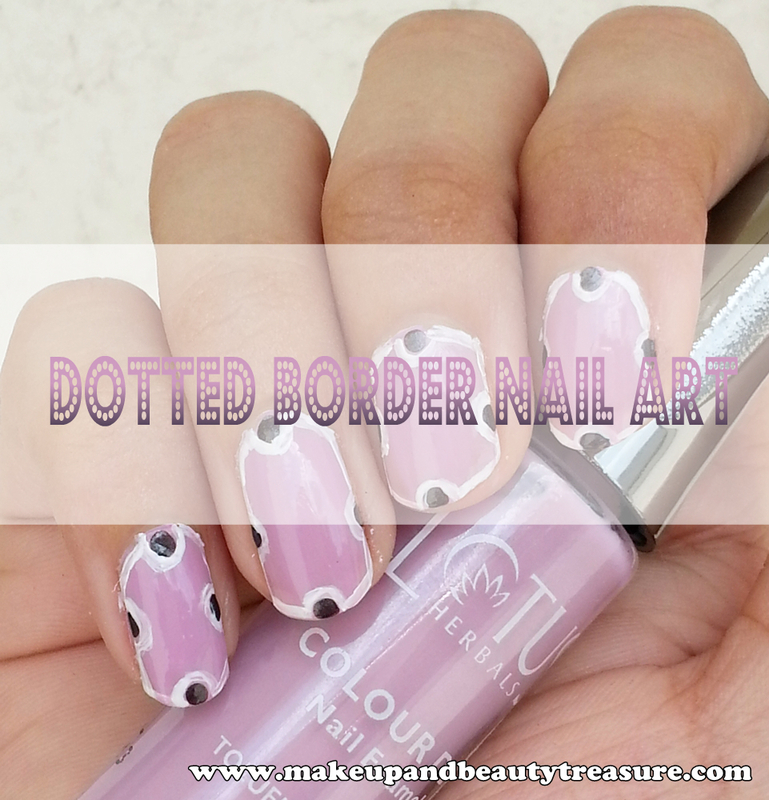 I love doing border nails but adding polka dots to it really added life in this design. It is one of the easiest and simplest designs and would look pretty on both long and short nails. This design would prettier if you do it neatly (I know I did not do it neatly :P). The nail art is super cute Megha! Awwww thank u so much Nieshu. It really means a lot to me. Very Very pretty nail art Megha..! Very cute and pretty! xoxo. you seem to be very talented with nail art :) thats very pretty!